The kids were a little stir crazy after two half days at school this week. One was sick so we couldn’t really leave the house and their making forts out of my furniture was starting to get on my nerves. So, I decided to come up with a kitchen project for the 3 of us to do while the little one gorged on Pedialyte popsicles and watched TV in the guestroom all day. I always have stacks of recipes, notes and cookbooks lying around. The note about making butter had been waiting for me for weeks, but I never had time to do it. Today, we had nothing but time and since I have been prepping all week to teach a cheese making class, I just happened to have 2 pints of heavy cream.So, the kids rallied and washed their hands. We poured the cream into my KitchenAid and measured the salt. Unfortunately, I started the mixer a little too high and suddenly everyone in a four County radius ended up splattered with cream. The kids thought that was hilarious. I kind of did, too. After about 5 minutes of mixing, I lost my sous chefs. They went back to ransacking my house while I waited for my cream to stop looking like whipped cream. Had it not been for the salt, I might have stopped the mixer and grabbed a spoon. I love whipped cream. 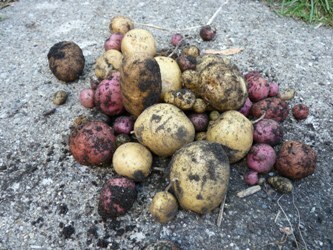 But, I was committed to this little project even if my helpers were not. 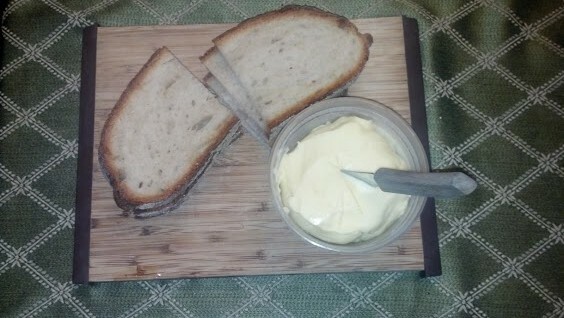 After about 10 more minutes the cream broke and suddenly I had beautiful yellow butter sloshing around in buttermilk. 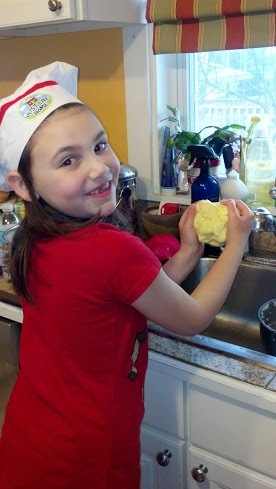 My 8 year old decided she had to see that I actually made butter so she came back and helped me knead the butter to release the rest of the liquid. We cannot wait to make buttermilk pancakes tomorrow. 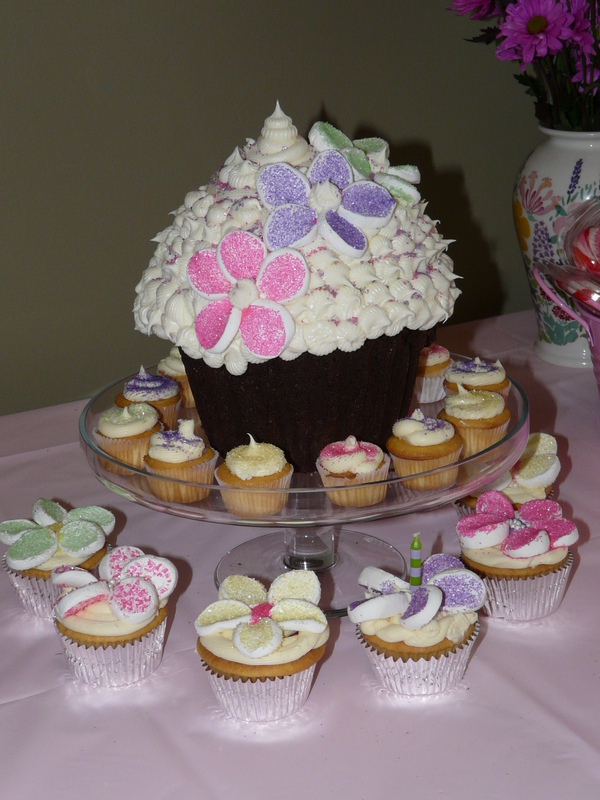 This entry was posted in Cooking and tagged Baking and Confections, butter, cheesemaking, Cook, Cream, Dairy, Home, KitchenAid, Whipped cream on February 2, 2013 by MamaGrows. 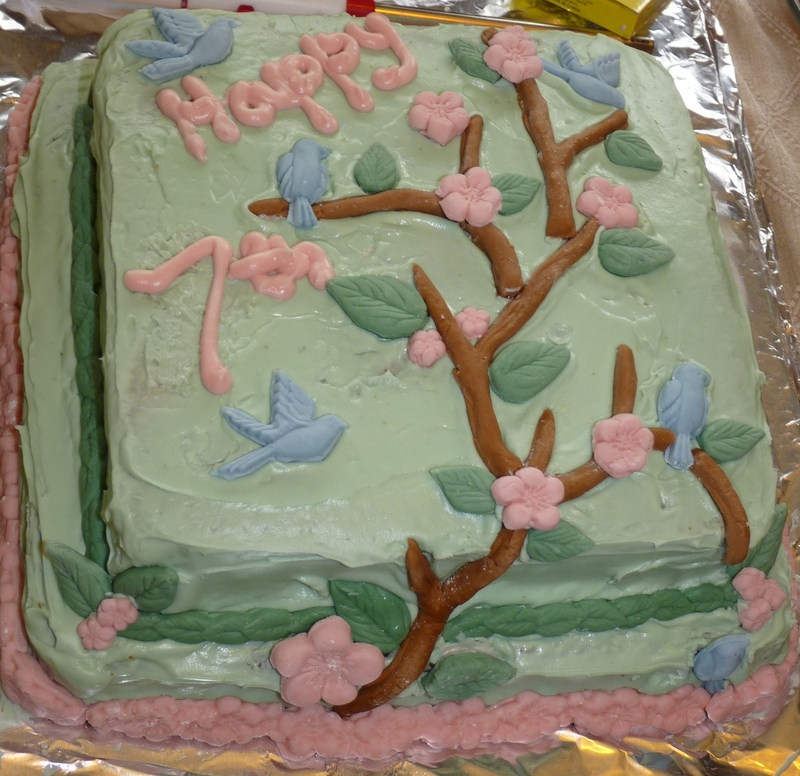 When I was little, my mom always made me a homemade birthday cake. I never had a store bought cake and therefore decided in my own mind that they were somehow inferior. 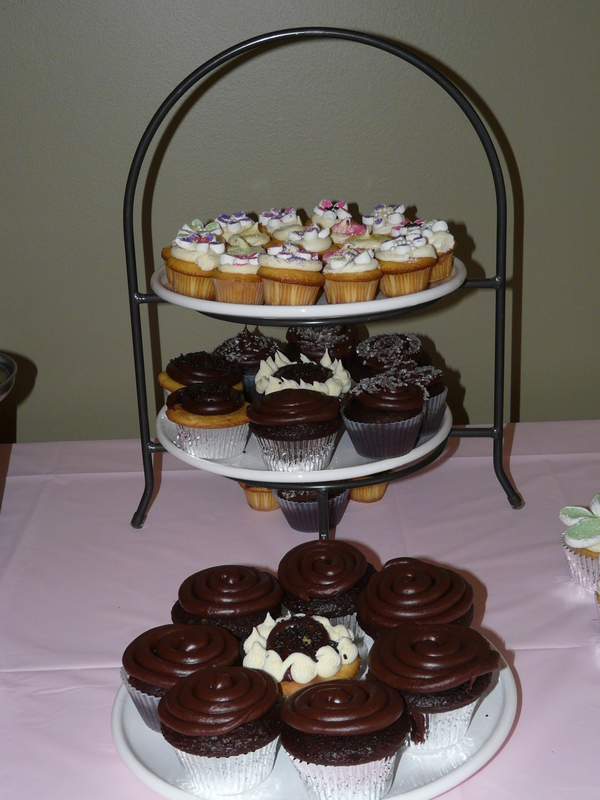 Now, that I have my own kids, it has always been an unspoken rule that I would make all of their birthday cakes. 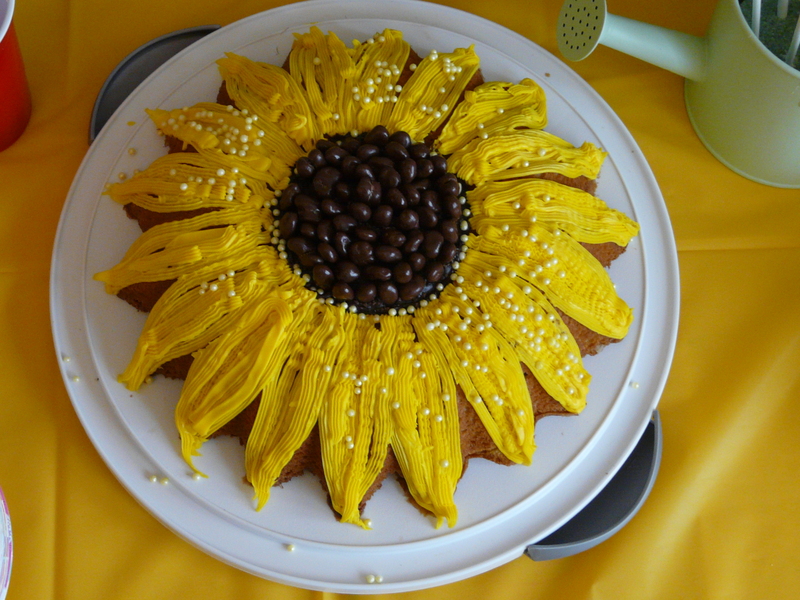 I take great pride in planning, baking, decorating and serving my homemade cakes (sometimes I cheat and use mixes, but I always decorate them myself). They never look professional and they always have little finger marks in them, but they are my creations and they always reflect the theme of the party. 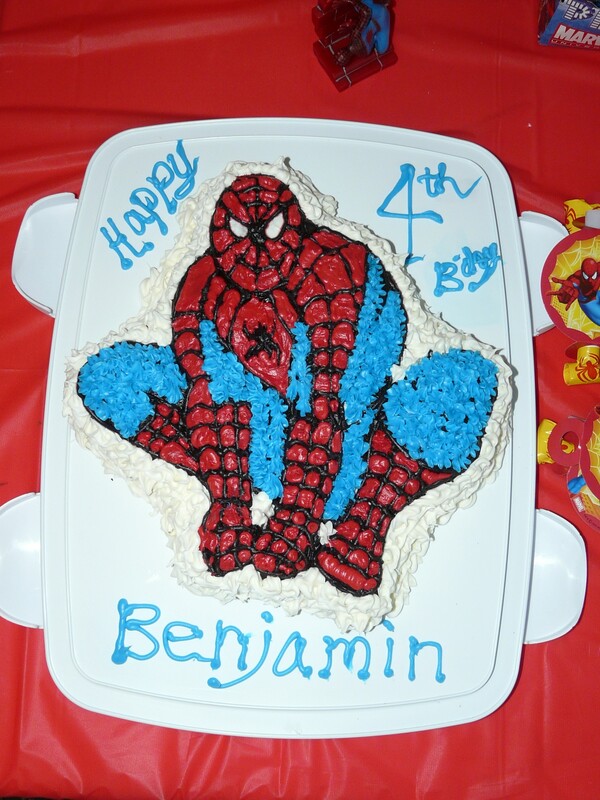 Although I am sure the kids remember the jumpy houses and the ponies and dancing the limbo, the cakes have become some of the fondest memories of my kids’ birthdays for me. I clearly remember sobbing at 10 pm the night before my son’s 2nd birthday because I could not get his train cake out of the pan. I baked that one 3 times before I actually got one that didn’t break. 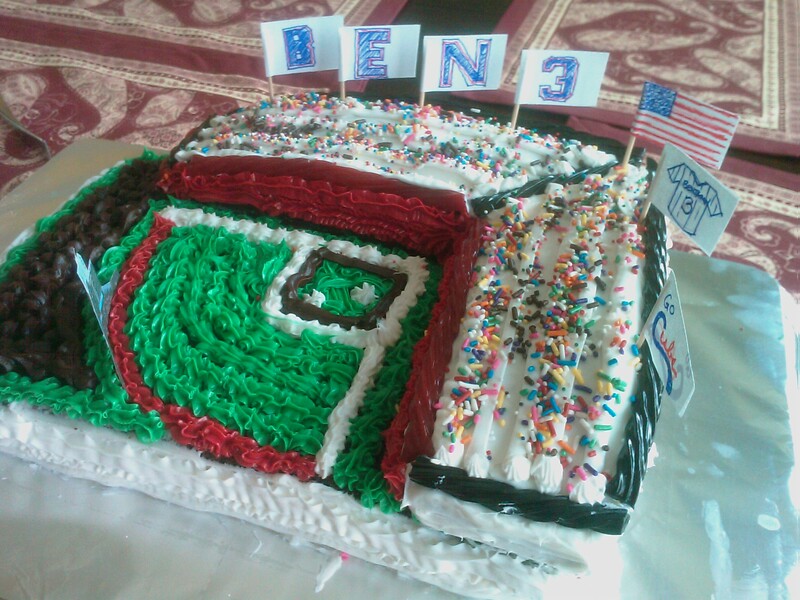 I remember the first time I worked with fondant, the tons of decorated cupcakes that outnumbered the guests at my littlest daughter’s 2nd birthday and the replica of Wrigley Field that required my husband’s help (what is an outfield?). 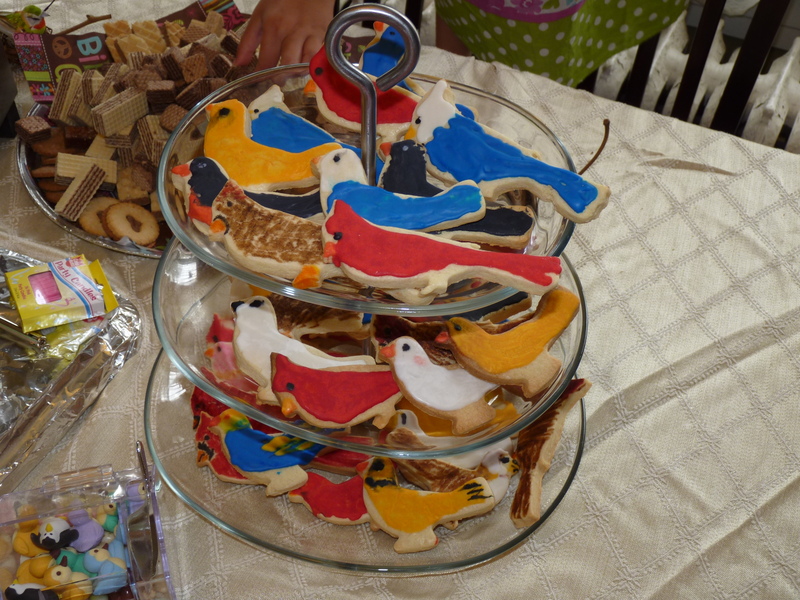 I remember the bird cookies that had to accompany the bird cake and decorating them to look realistic because my 7 year old would know the difference. 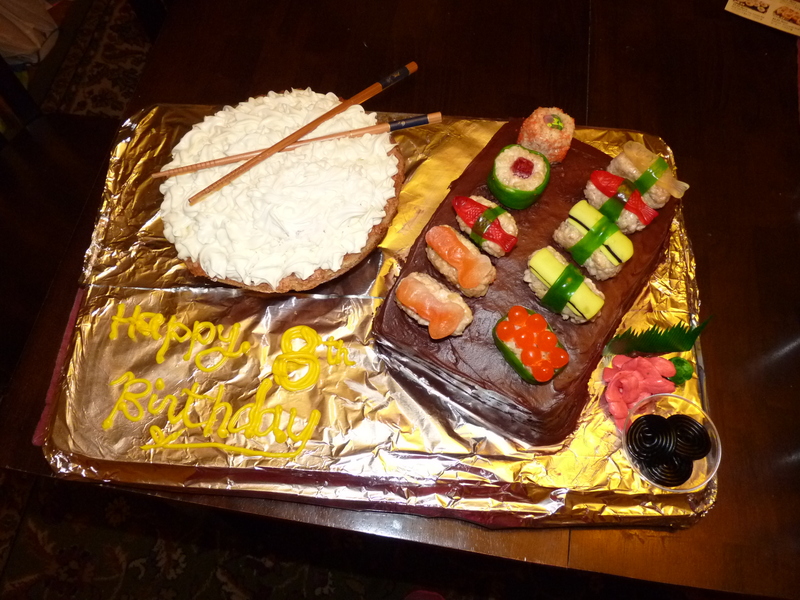 I remember begging my husband to help me squish pink and white gumdrops together to mold small shrimp for the top of my daughter’s “Sushi” cake. 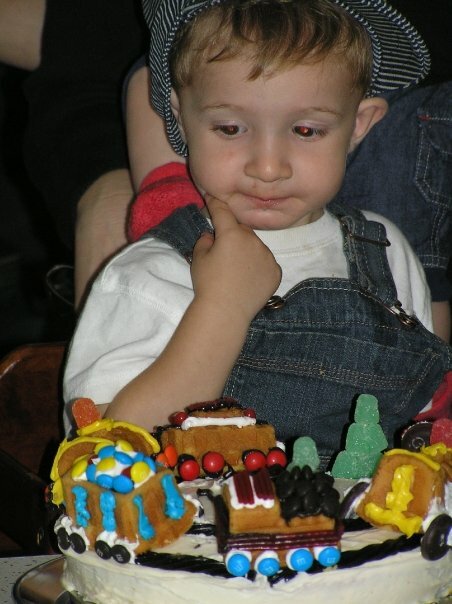 So, tonight I am staying up late trying to figure out what kind of cake to make for my soon to be 5 year old. She is having a gymnastics party and I have lots of ideas, but very little time. Maybe this year will be the year I finally buy a store bought cake. Yeah, probabably not. 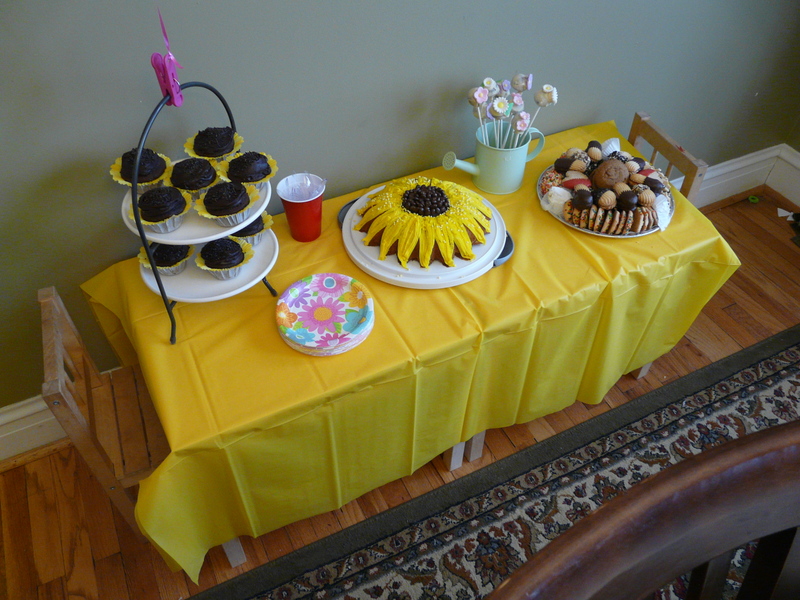 This entry was posted in Arts and Crafts, Cooking, Parenting and tagged baking, birds, birdwatching, birthday, birthday cake, birthday party, cake, cake decoratiing, Children, cupcakes, kids, kids parties, spiderman, sushi, wilton, wrigley field on January 15, 2013 by MamaGrows.